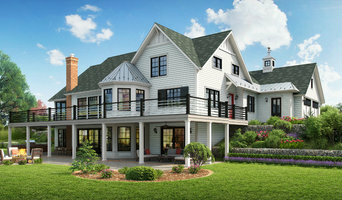 Liston Design Build is an award-winning building company providing homeowners with distinctive designs, meticulous craftsmanship, perennial stability and exceptional service. Keith, a master carpenter and true craftsman at heart, puts his signature on every project. His hands-on approach and meticulous nature ensure that the tradition of excellence carries on with every project. Along with our staff carpenters and craftsmen, Keith promises innovative building solutions to create results that are beyond the ordinary. His wife Jeanne, with her organizational skills and keen attention to detail, assists clients with decisions and selections throughout the entire process such that the finished product truly meets the client’s desires. Jeanne’s personal commitment and positive energy that she brings to the building process promotes open communication, creativity and camaraderie resulting in lasting relationships with her clients. Together Keith and Jeanne Liston make an incredible Design/Build Team. 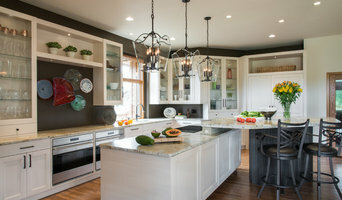 Don’t just dream about your next project, make it happen with Liston Design Build. Feel free to reach out to us, we would love to hear from you! I am a general contractor who specializes in kitchen and bath remodels, basements, drywall and plasterwork, exterior trim and decks and historic remodels. We partner with an architect and design firm to give you the best product from start to finish. We believe in quality craftsmanship, superior customer service and strong communication. Our goal is to create this foundation for every project we do in order to create a solid working relationship between our crew and our customer. We believe in working together as a team to turn your vision into reality. I've been married to my wife, Jen, for 15 years. We have two beautiful children, and my family is the love of my life. I was born and raised on the east coast but moved to the St. Louis area 22 years ago. I attended college at Southwestern Illinois College, Fort Lewis College and SIU-Cabondale. Though going for my Bachelors in Biology, I couldn't get my love for building off my mind, and I've always had a passion for building and creating. Over the years, I have honed my skills building houses, working on general construction crews, building high end custom cabinetry. I've also worked at an upscale furniture retailer, where I was designing custom built furniture to suit customers' needs. I even built my first piece of furniture in the Daintree Rainforest in Australia while working there for a year. In 2009, I decided to take all of my experience and start up my own company and Ladd Suydam Contracting, LLC was born. Early on, we decided that the customer experience was as important as the quality of our product. We work hard to keep communication open and clear and to keep our client in the loop and part of the team. From clearly laying out the scope of work to be done in the beginning proposal, to respecting your home and property while on the job site, to providing friendly and approachable staff, our aim is to build relationships while building our projects. Call us at 314-324-1537 to get started! Aleto Construction Group was founded in 1955 by Thomas F. Aleto. His son, Mike Aleto, and daughter, Patti Aleto, continue to live the firm’s legacy of exceptional design, creative execution and superior quality. Over the years, Aleto has completed more than 1,000 renovations, 20+ new homes, and dozens of gut rehabs. With each successful project, we grow more creative and more committed to bringing each client’s vision to life, from a complete home to a renovated space to just the right thoughtful detail. Aleto is a member in the Home Builders Association (HBA) and a founding member of our local chapter of the National Association of the Remodeling Industry (NARI). We are also a Certified Graduate Remodeler (CGR) and EPA-certified Lead-Free Firm. Efficiency in design doesn’t have to be a compromise, for you or for nature. Environmental responsibility is an important pillar in every project we undertake, using the most advanced, responsible technology and processes to deliver spectacular results that are hard to miss, but easy on the environment. We’re also responsible in the way we respect your time and comfort. We only give you a timeline we know we can meet—or beat. In construction, disruptions can be inevitable. But there’s no reason why they should be a surprise. In our craftsmanship, materials and creativity, Aleto only delivers the best. It’s something you can see, hear and feel in our work—and something we back with a five-year warranty, at no additional cost. For us, the job isn’t done when we pack up our tools and leave. It’s done when you’re satisfied—and it will continue to satisfy for years, even generations, to come. 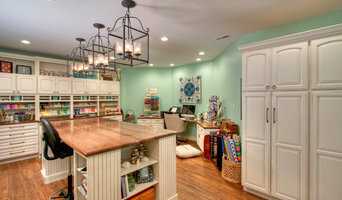 Fulford Home Remodeling has been in business since 1975 and is a full service residential remodeling company that has everything you are looking for....outstanding design, professional office and construction staff, quality trained craftsmen, and excellent service after the sale. Fulford’s entire team strives to provide the utmost in customer satisfaction. Nearly 70% of Fulford’s business is generated from customer referrals, proof that they deliver what they promise. If you are contemplating a remodeling project large or small, you owe it to yourself to call Fulford Home Remodeling. DC STRATEGIES will assist you at every stage of your renovation or newly built home, from preconstruction to completion. Our Interior Designer will show you concepts and computerized drawings to help capture your vision and our construction crew will help build your dream. 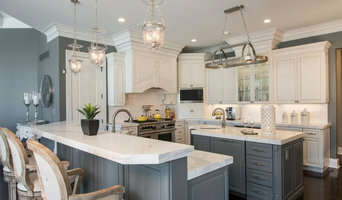 More for Less Remodeling is a local, family owned and operated remodeling company. Our goal on every project is to provide more quality with less headache for the homeowner. We are rated A+ with the BBB and will provide references upon request. We have three main goals in mind with each project: Quality, Service & Communication. We work closely with our clients to meet their needs and give them the results they are looking for. Contact us today for more information!